Laws governing the assignment of call letters have changed a lot over the last century. Contrary to popular belief, the W and K teams never switched sides. W was always predominantly in the east and K predominantly in the west. However the dividing line moved from a North-South line approximately along the Texas-New Mexico border eastward to the Mississippi river. The K stations in that 900 mile gap were issued new W call signs. But some of the existing Ws were allowed to stay. What's interesting in all this is that there were a few call signs that started with letters other than W and K.
Government stations had their own set of rules, separate from the limited commercial licenses as well. The April 1922 Issue of RADIO magazine listed only a handful of call signs in the whole U.S. at that time: WGI, WGB, WBZ, WNO, WDT, WDY, WJZ, WGY, 4CD, WGH, WRR, KZY, KDN, KZC, KZM, KLP, KGC, KYJ, KWG, KJQ, KVQ, KJJ, KQW, 6XAM, AGI, KFU, DDV, KUO, KFC, KDKA, WBL, KQV, WDZ, WPB, WMH, WOV, WHA, WLB, WLK, KYW, 9XAB, and 9ZAF. It also listed off six more station that even lacked experimental calls. It was not a complete list but you may already notice a few that do not look like the others. I'm looking at you AGI and DDV. Prior to 1912 radio was largely the property of the military. So many rules divided up the radio band by branches of the military. Stations operated by the Navy were assigned calls starting with N, like NOF/NSF in Anacostia, D.C. on 360 meters. The U.S. Army stations used call letters starting with WUA to WVZ and WXA to WZZ. I wrote about some of these before. But being that the year was 1913, these were guidelines, not regulations. Some Army stations ignored the guidelines. 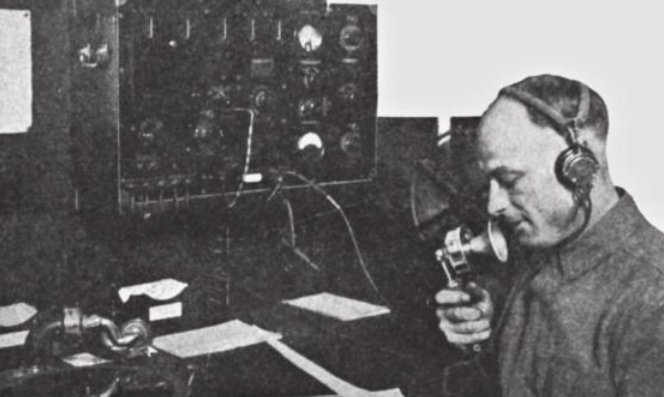 In San Francisco The Company M Signal Corps of Presidio used the call letters AGI. They are probably the only US callsign that ever started with the letter A. Sometimes written as AG1, they sometimes used the call sign 6XW to further confuse the historical record. The station was operated by Sgt. Richard C. Travers and is believed to have begun operating around 1920. It only operated on Sunday evenings from 7 to 9 PM playing records and taking questions from callers. It ceased operation in about 1923. "There is a broadcasting station being started by the Noble Electric Works of Monterey using the old phone transmitter of the Fairmont Hotel which was one of the first broadcasting stations. Its station call Is D. D. V. and should be received very qso. (meaning strong signals) in Santa Cruz with a vacuum detector and proper tuner." DDV was a bit more mysterious. Listed in that same issue of RADIO as owned by Noble Electric Works in Monterey, CA. They had no published schedule at that time. Wireless Age listed them as operating in May of 1922. the Santa Cruz Evening News announced the opening of the station in April of 1922. The hotel referred to is probably the Fairmont Hotel on Nob Hill in San Francisco making the old equipment formerly part of 6XG in 1921. It later changed calls to KDN. More here. I can only assume DDV didn't last long.